Beautiful decorated living room with fireplace, flat screen TV, a ceiling fan, and comfortable seating from which to enjoy it all. 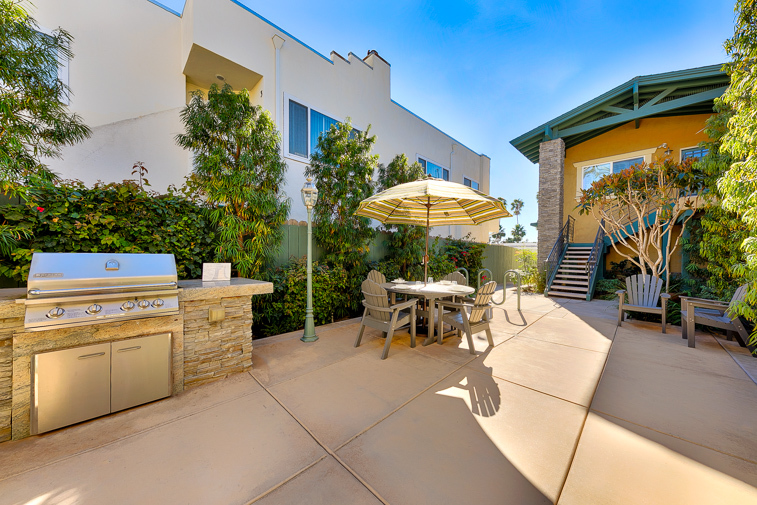 Communal patio is a great place to sip morning coffee or enjoy a barbecue after your day's adventures. Industrial/vintage decor and hard wood floors through creates a beach chic ambiance for you to enjoy. Dining area for 4 and high-top stools make it easy for everyone to dine together. This great composite showcases the vintage beach that makes this a charming oceanside retreat. Beautiful staircase up to the entry of this seaside condo. King master bedroom with ceiling fan and flat screen TV. Ceiling fan keeps you comfortable; large TV keeps you entertained. 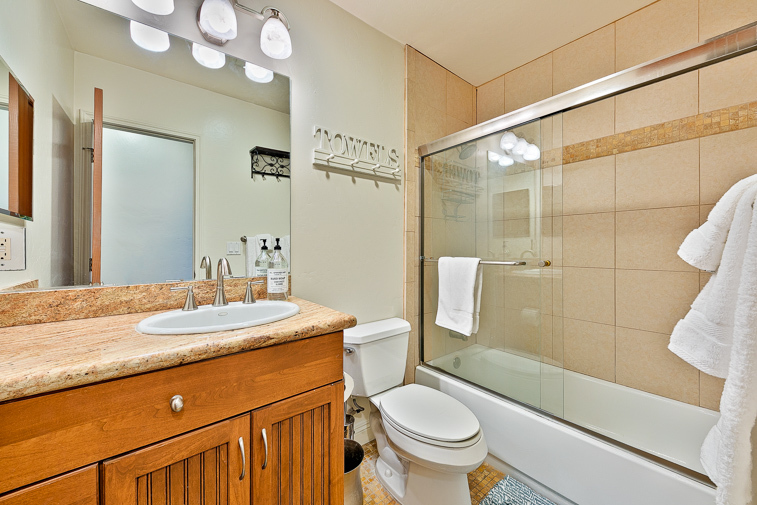 Modern, comfortable bathroom with shower/tub combination. Queen bedroom with flat screen TV and a ceiling fan for your comfort. Queen bedroom from another point of view. Another view of the king master bedroom. 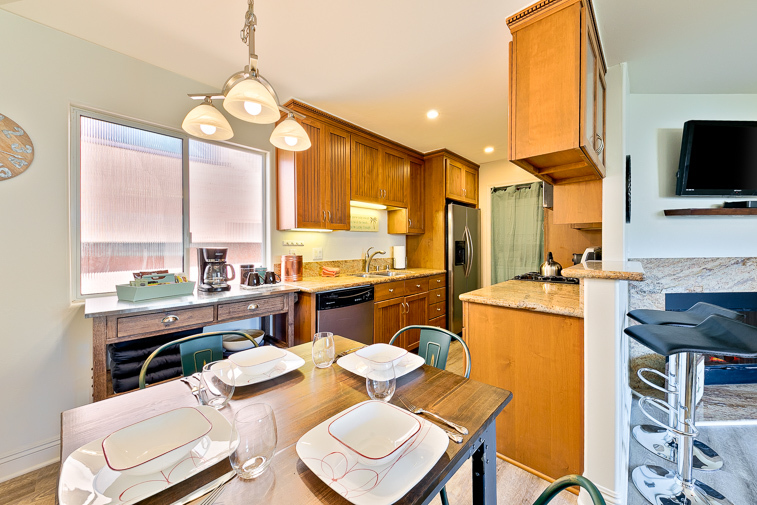 Updated kitchen with a dining nook makes it easy to create and serve meals and snacks anytime. Granite countertops and stainless steel appliances make this kitchen modern, efficient, and beautiful too. 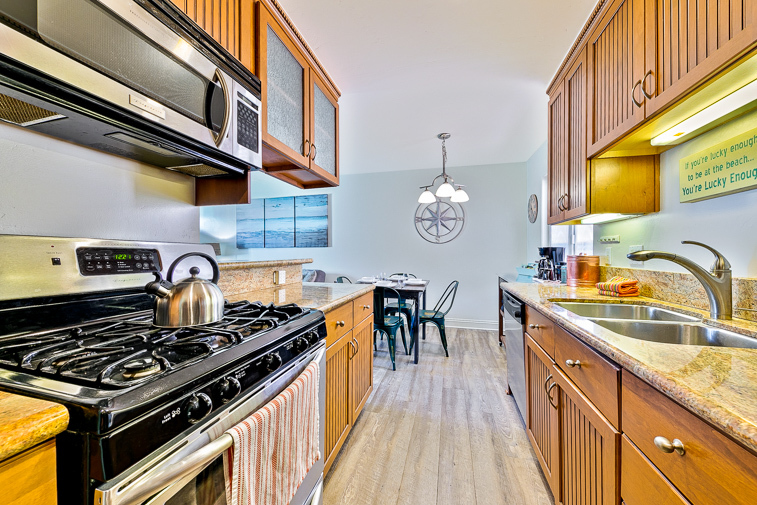 This kitchen has everything you need to create meals and snacks for your family and/or guests. Stacked washer and dryer available for your convenience. View of building - unit is on second floor Welcome to Ocean Beach Bliss which is on the 2nd floor looking out into the community area. Large barbecue for those times when you wish to make meal-making easier. 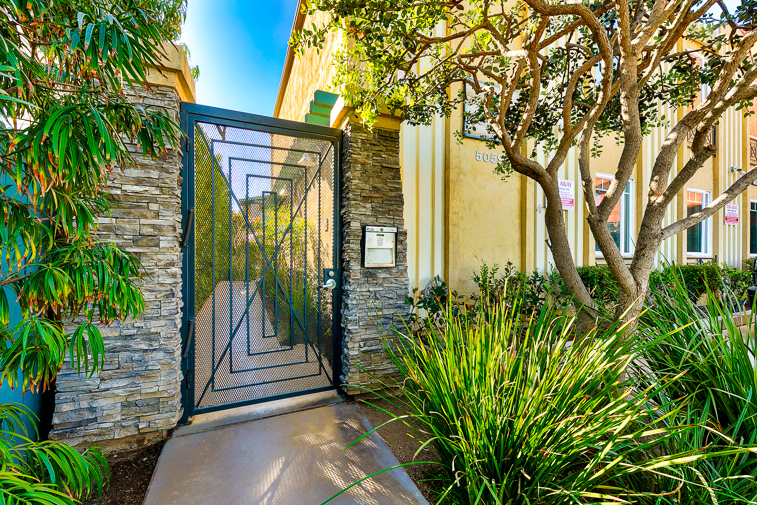 Front entrance to gated, secure building. Beautiful surf and sand it just steps away. Crystal Pier just a short walk from this condo. 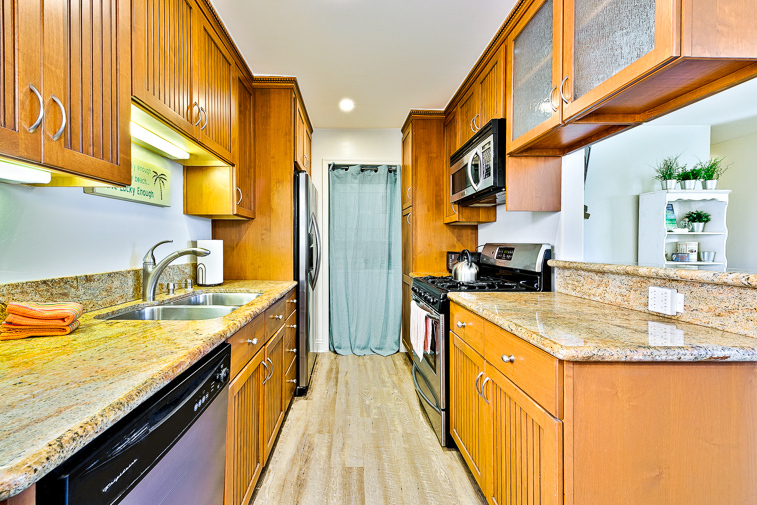 Gorgeous two bedroom one bath condo, just steps from the beach, pier, shops & restaurants in beautiful Ocean Beach. 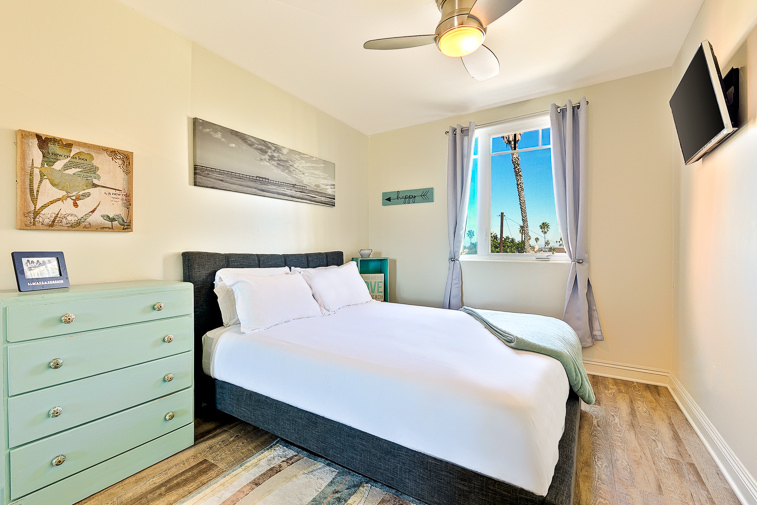 Enjoy living the California dream close to the ocean in this recently refreshed beach condo only steps from the sand and surf, as well as the Crystal Pier, popular restaurants, hip coffee shops, fun nightlife, and vintage boutiques. Walking on seaside cliffs and whale watching are two favorite activities here. 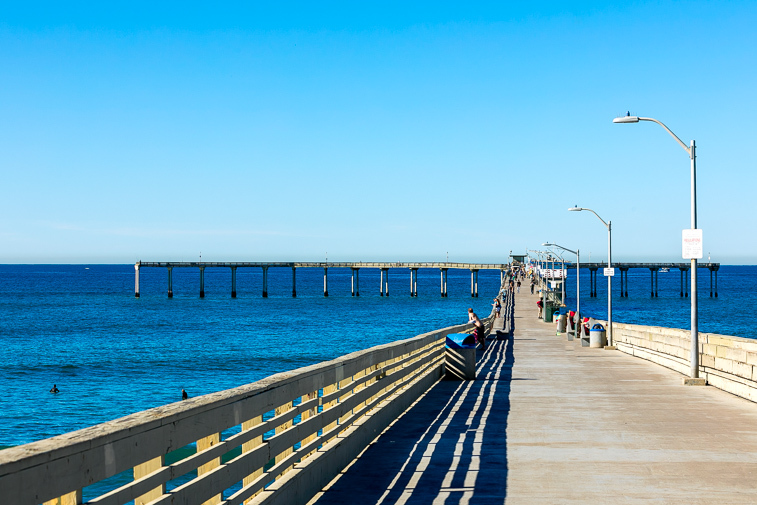 It’s also easy to cycle, play golf, hike, jet ski, paraglide, go rollerblading, sailing, swimming, paddle boarding, or water skiing in this eclectic beach town on the edge of the shimmering Pacific. A lusciously landscaped common area, at the base of the staircase leading to this beach getaway, is a great place to sip morning coffee or have a barbecue and dine al fresco as you watch the ever-changing colors of legendary western sunsets. This 2 bedroom 1 bath 726 sq. 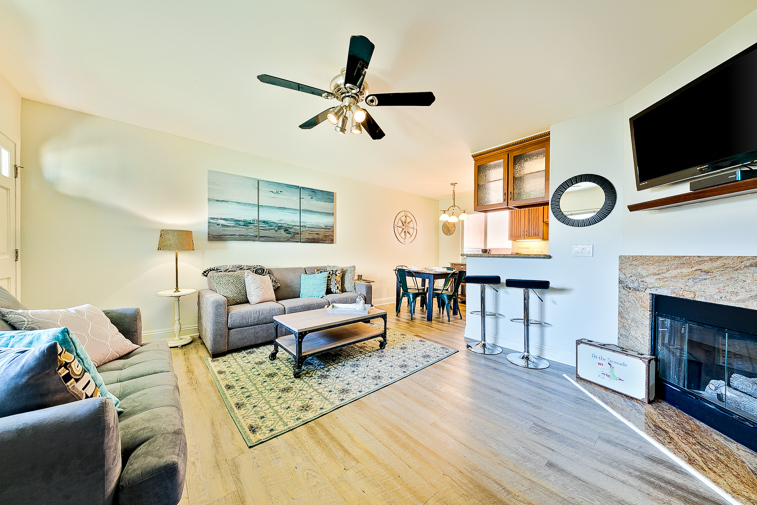 ft. second floor condo has neutral beach cottage floors, colorful accents, and beautiful industrial vintage decor throughout - giving it an inviting beach chic feel. 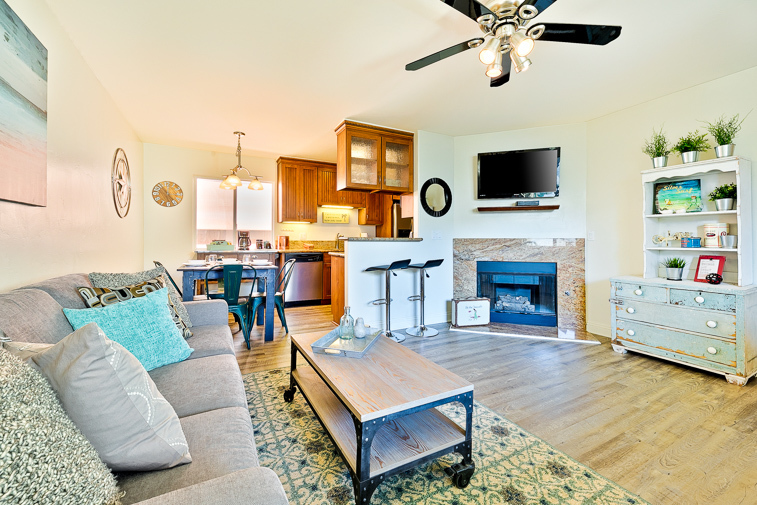 Enter and find yourself in the living area of a well-designed great room with a large flat screen TV, a ceiling fan for your comfort, and comfortable cluster seating from which to relax and enjoy it all. A dining table for 4 is adjacent to the breakfast bar of the kitchen with high-top stools - making it easy for everyone to eat together. 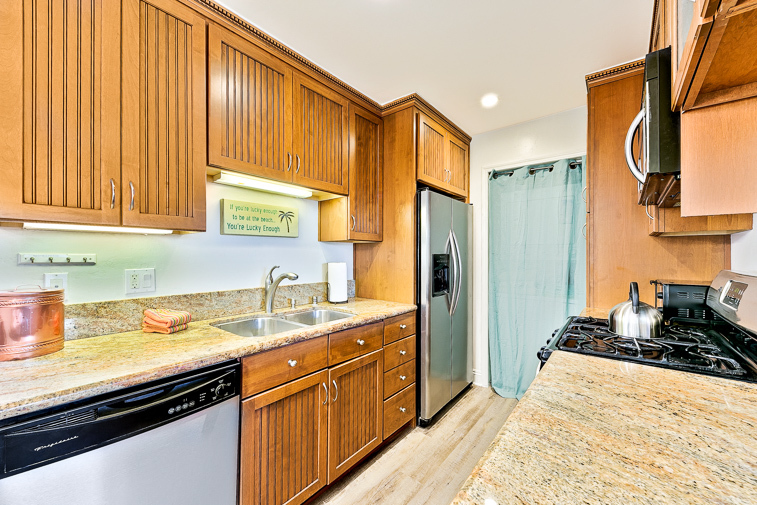 A beautifully updated kitchen features granite countertops and all stainless steel appliances making it easy to create meals and snacks for family and/or guests. Just add the food and the camaraderie and have fun. 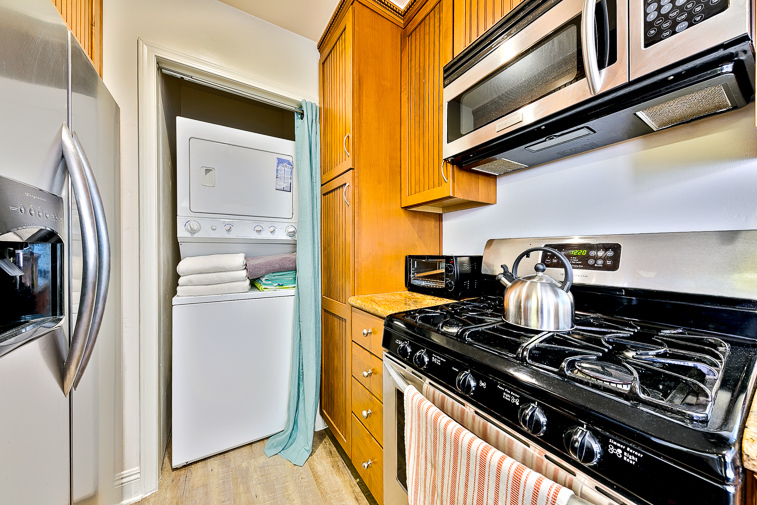 There is also a stacked washer/dryer for your convenience next to the kitchen. 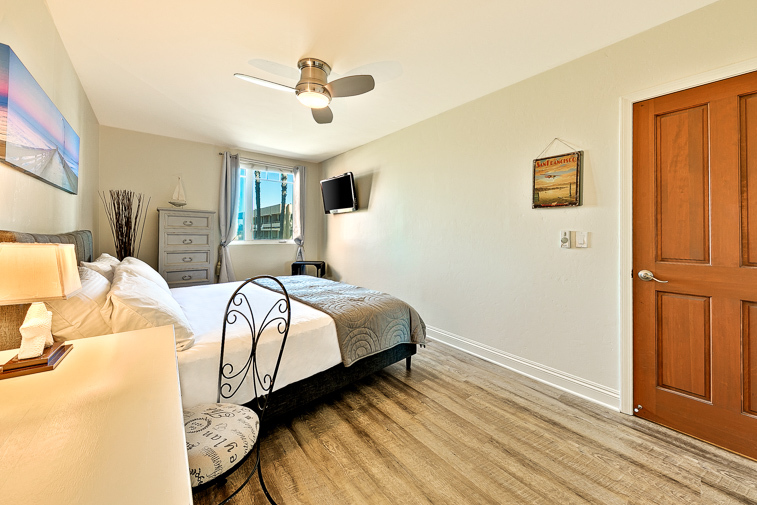 The king master bedroom has a flat screen TV and a ceiling fan to ensure your comfort, as does the 2nd bedroom, which has a queen bed. There is a queen sleeper sofa in the living room area so this home can sleep 4 in beds with a max of 6. These bedrooms share a modern bathroom, with a shower/tub combination. 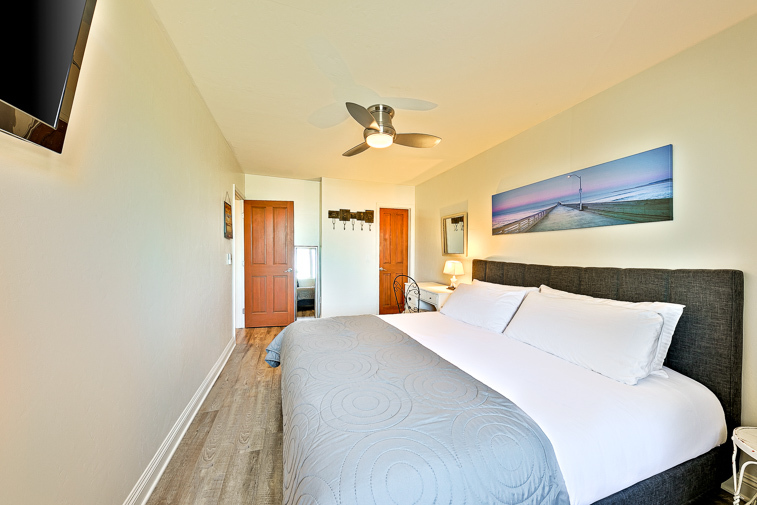 And of course all bed and bathrooms are amply furnished with premiere linens for your ultimate comfort. 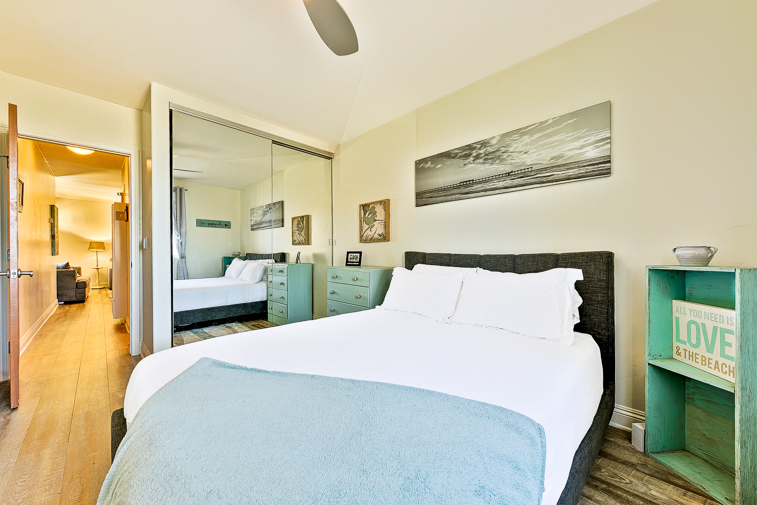 The two beds also have top end organic mattresses as an added luxury. Other amenities include WIFI and cable, and one parking space available to guests, although it is not covered. Rent a surfboard and walk 100 yards to some of the best surfing Southern California has to offer. 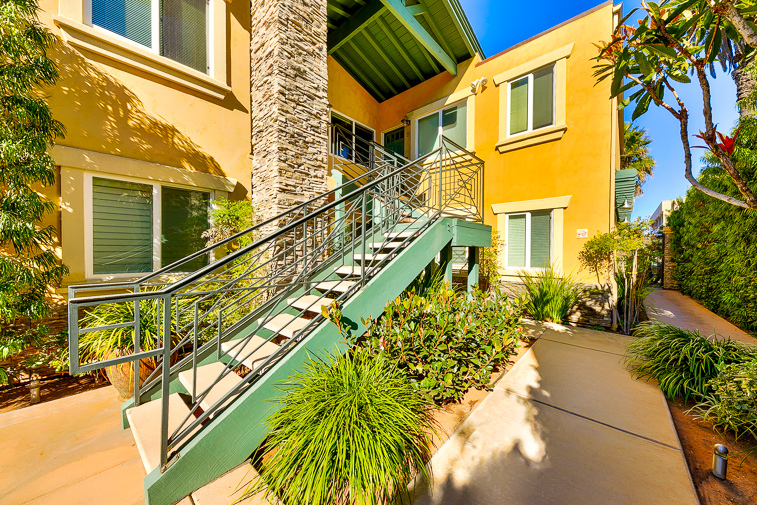 This home is really close to SeaWorld and just a few minutes drive from some of San Diego’s world-class attractions such as The San Diego Zoo, Old Town, The Gaslamp District downtown and Balboa Park. Treat yourself to a vacation in this little slice of paradise and create beautiful memories that will last a lifetime. You will be glad you did - and you might even decide to come back for more! 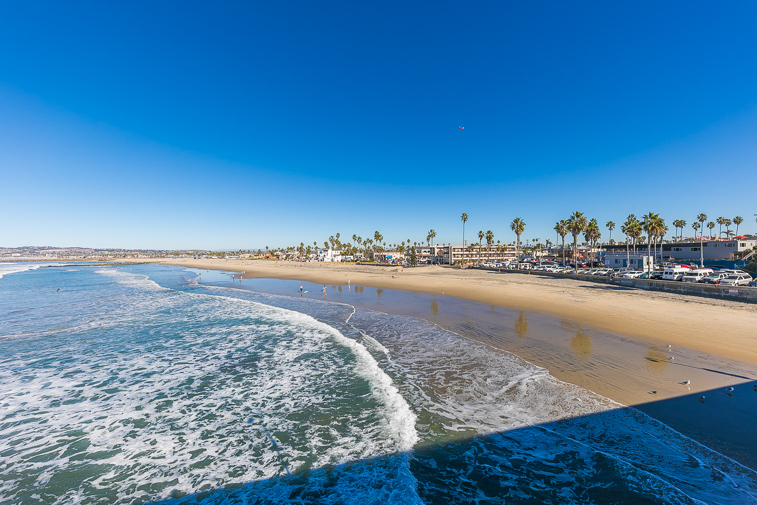 Location just a few steps from the sand and surf, as well as from the fun beach town of Ocean Beach, with its eclectic lifestyle, numerous offerings, and fun people – authentic San Diego charm at its best. Open flowing spaces carefully designed so you can take the highest advantage of indoor/outdoor living – fresh ocean breezes and beautiful sunsets. 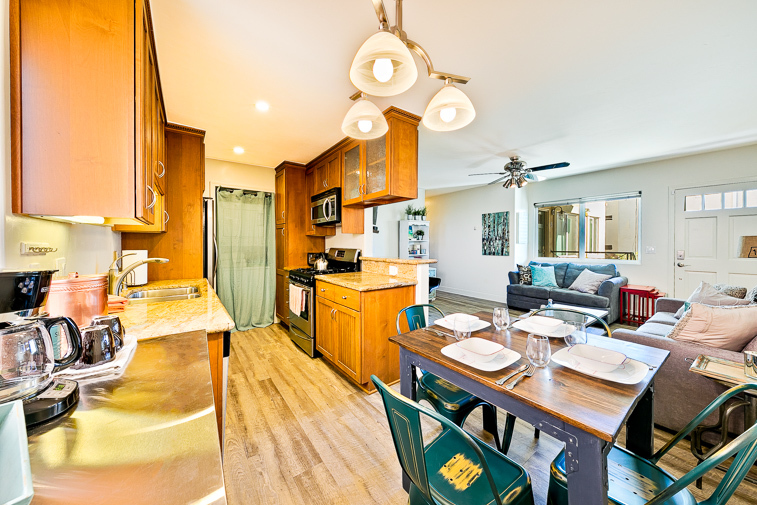 Easy freeway access allows you to easily go out and adventure, then return to your beautiful vacation haven to rest, relax, reconnect, and recharge. This home (like most in this coastal area) does not have air conditioning. This is a second floor unit with no elevator so it may not be appropriate for everyone. 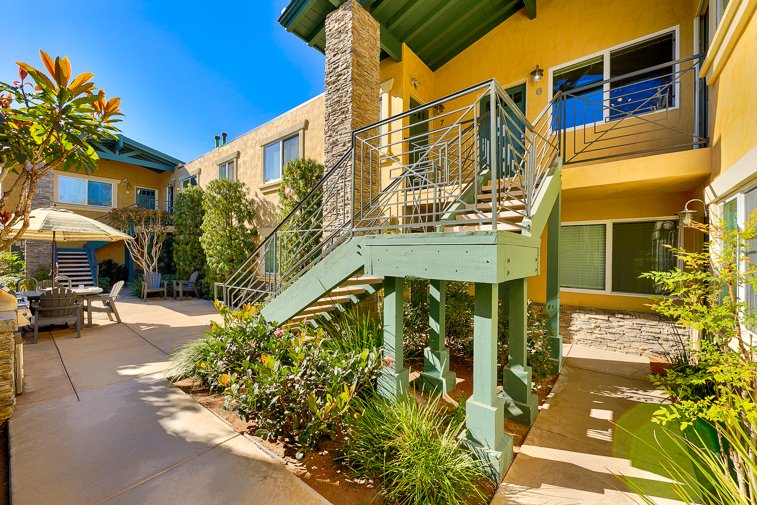 Great place to stay while visiting San Diego, very clean, all amenities, close to Pier, grocery store, restaurants, main street with farmers market!! Great location, quiet neighborhood, very comfortable stay, highly recommended!! - Reviewed By Troy B. So clean and nice. Love this rental. Everything was made easy from check in to check out. I would stay again. Decor was fun and well decorated. The rental is very safe with locked courtyard. The common space was clean and the grill was a plus. 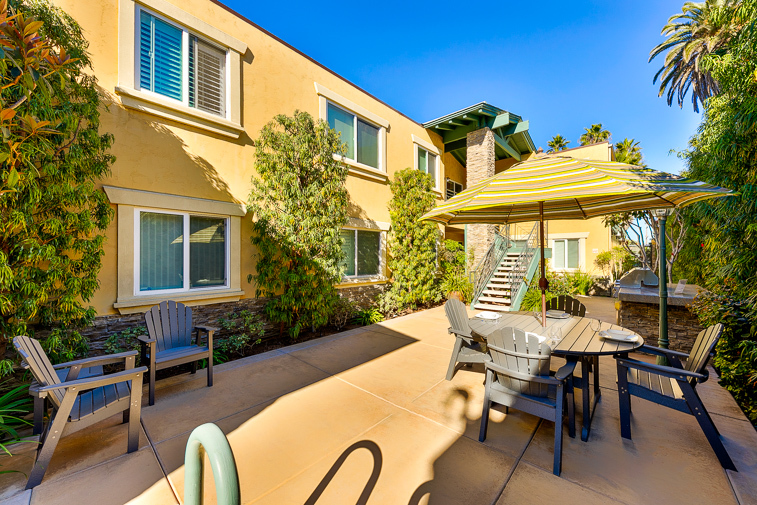 - Reviewed By Dina D.
Good stay and a Great location! The bottle of wine was a nice touch and the beds were terrific. The locking gate worked great and added piece of mind. Overall a good stay and a great location. The layout was great and it was a nice and quite/peaceful stay. - Reviewed By Juan P.
Safe, quiet, comfortable and chic, this is the way you want to spend your vacation. Walking distance to beach, shops and restaurants on a beautiful street. Highly recommended! - Reviewed By Maria L.
- Reviewed By Mary P.
Everything was great! The condo was perfect and in a great location. Very close to the beach and the fishing pier. There’s also a surf school on the beach right by the condo - lots of fun. Quite a few restaurants/bars nearby also. 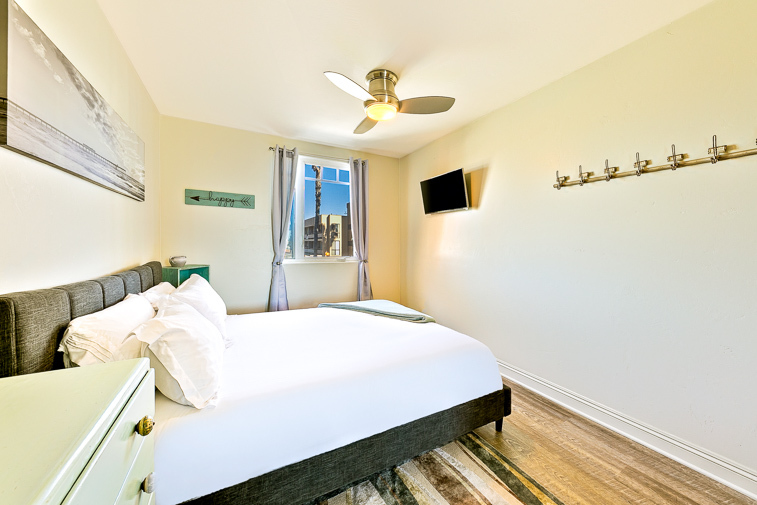 - Reviewed By Michael H.
We truly enjoyed our stay, it was perfect for four people. The location was literally steps to the beach and pier, as well as coffee shops, restaurants and bars. It was clean and safe with a beautiful courtyard! I would highly recommend. 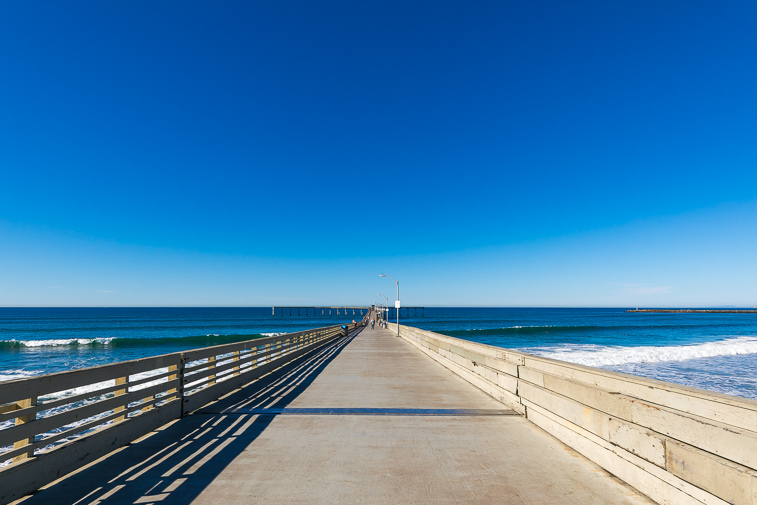 - Reviewed By Sue M.
Less than a 100 steps to the pier. Walking distance to some great restaurants-OB noodle house and coffee method. The Wifi was reliable in the apartment and courtyard had a bbq and patio set. The bedrooms are specious with plush towels. The apartment was super clean and nicely decorated. I would highly recommend this place. Look forward to visiting again! My friends and I loved our time on Ocean Beach. The condo was perfect!! 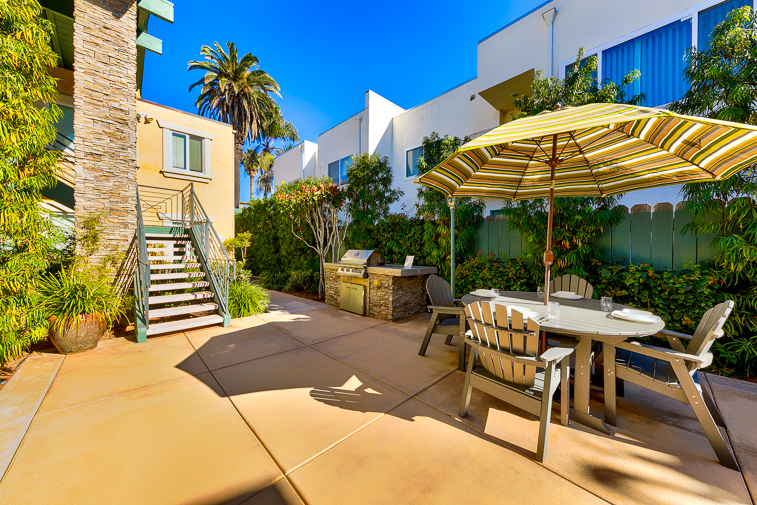 Just steps from the beach, what a perfect location! We loved the close proximity to restaurants and shopping. We had little use of our vehicle. The condo was spacious and cosy. We used the courtyard for morning coffee and evening wine. And having WiFi was handy as we needed to stay connected with work and family. Perfect location! Great condo! Look forward to visiting again! - Reviewed By Zubina C.
Beautiful condo literally steps from the ocean, amazing restaurants and coffee shops. Yoga on the beach was definitely a highlight, walked along the beach to get there! 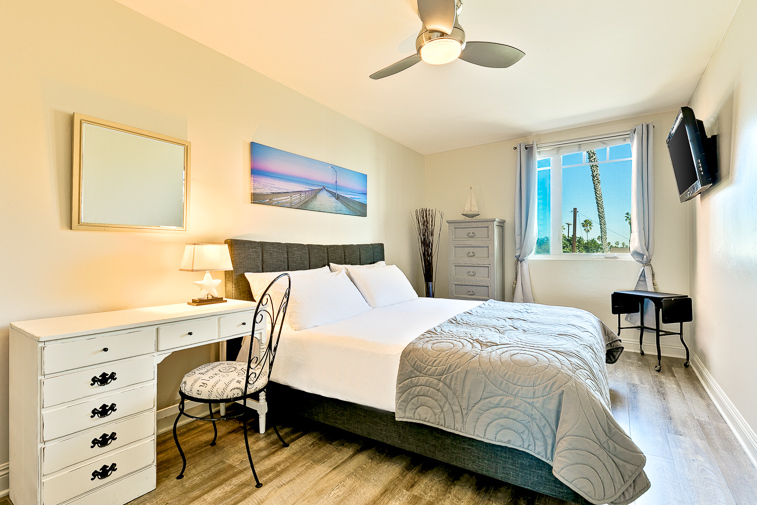 The condo is immaculate and has everything you could ask for... comfortable beds, towels, fully stocked kitchen, and beautifully decorated. The spacious living room with fireplace was lovely while relaxing in the evenings and we took advantage of the courtyard for our morning coffee. We are coming back every year!!! !